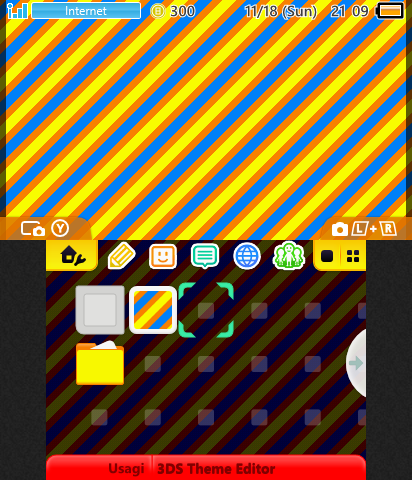 I took some time, last night, to finally have a proper look at making 3DS Themes. I spent some time working with the Usagi Theme Editor, made a simple scrolling background (which was WAY more effort than I expected, trying to get the pattern to repeat correctly) then registered over at ThemePlaza and did the uploading. 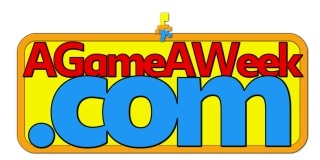 It's now about 12 hours later, and .. so far.. nobody's clicked the Approval button on either that, or the "AGameAWeek - Bundle 1" Badge set that I also uploaded. Assuming I uploaded it correctly, and set it all up right, you should be able to pop the theme onto your 3DS and use your theme-hacky-doohickey of choice to get it working.